I am really glad I used modular development for ALS now. 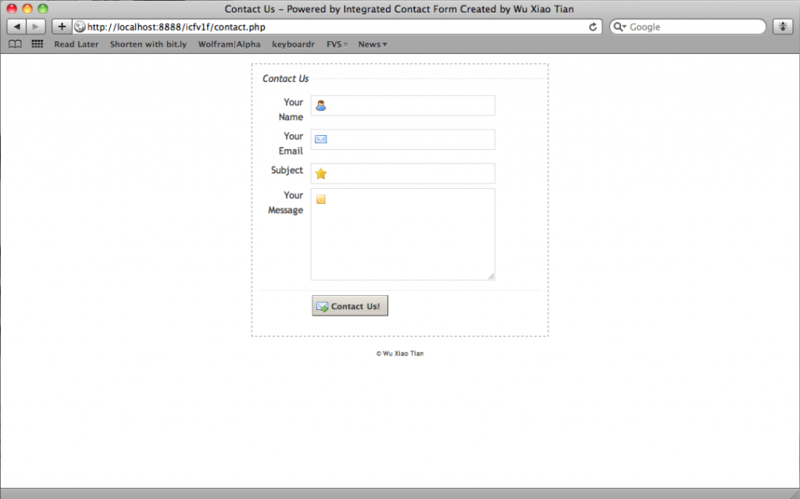 It makes it so easy to reuse code from ALS in my Integrated Contact Form. I am currently using the update module (by the way, I just realized the fgetcsv() function requires a length parameter in PHP 4 (optional in PHP 5) – eg. fgetcsv ($fp,256). Refer to here for more details. ) 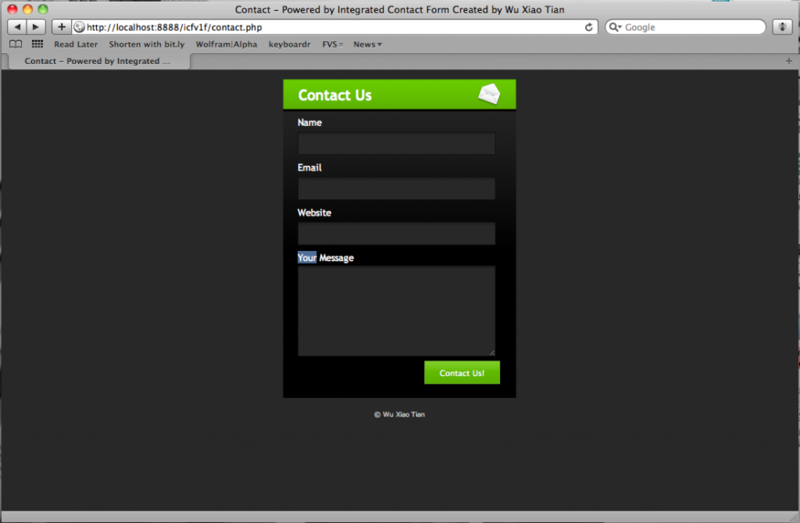 and I do have plans to reuse my CAPTCHA module as well. I should really adopt modular programming as the basis of all my future scripts and projects. I realized I do make lots of careless mistakes in my coding sometimes. For example – in my CAPTCHA module, I defined the file as a gif in the headers, but I used imagepng() to generate the actual image, so I suppose it’s a png file in a gif container (though I am not perfectly sure). Anyway, I was basically cleaning up the ICF code in the past few days. It’s really a mess after not having touched it for 2 years (the latest build was 20071011 – meaning it was realized on the 11th Oct 2007). Keep you guys updated. A quick peek at one of the themes. Sadly, I have to remove support for ALS themes and singular stylesheets (meaning you have to create a theme in order to customize the look) – but the whole thing is a lot more flexible now.